In Alter Ego we go 'Aces High!' 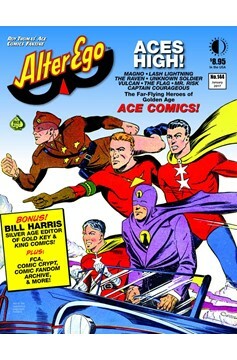 with the story of Ace Comics in the 1940s and '50s, told by Mark Carlson with super-heroes like Magno & Davey, Lash Lightning, The Raven, Unknown Soldier, Captain Courageous, Vulcan, The Flag, Mr. Risk, and more! Art by the likes of Harvey Kurtzman, Jim Mooney, Dave Berg, L.b. Cole, Rudy Palais, Harry Anderson, Harry Sahle, B. Currie, et al. 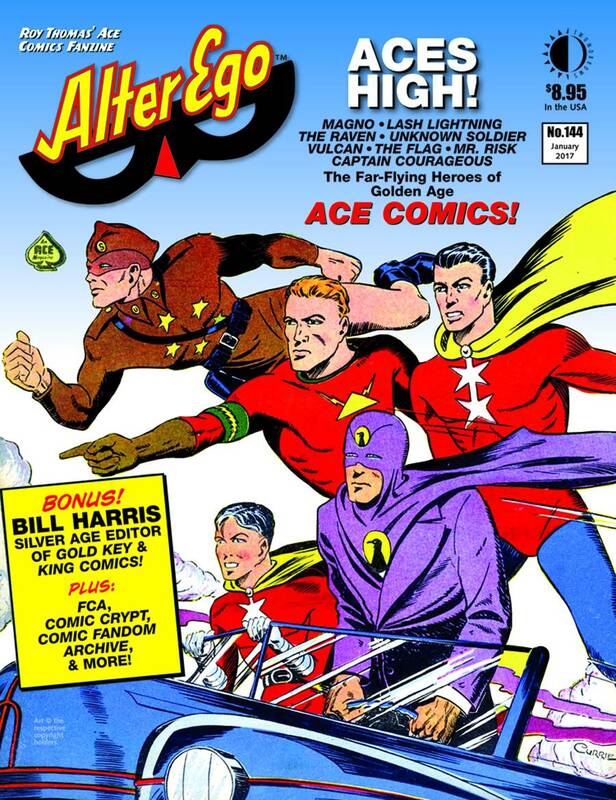 Plus: Richard Arndt's interview with Bill Harris, 1960s-70s editor of Gold Key and King Comics, with art from The Phantom, Flash Gordon, Mandrake, etc. With FCA, Comic Crypt, and Comic Fandom Archive. Cover by B. Currie from a 1940s issue of Ace's Four Favorites!.